Anthony’s mother, 10 Degrees South executive chef Diane Anthony, will prepare the pies and biltong, while a yet-to-be-named chef runs the Biltong Bar kitchen. There will be numerous varieties, ranging from beef and chicken to elk, venison, buffalo, and ostrich. It will be sliced fresh and can be paired with bourbon or beer. Similarly, the pies will come in a various flavors, including chicken, vegetable, steak, lamb, and sweet ground beef curry. There will also be a retail component offering peri peri sauce, spices, rubs, and South African sodas like Appletiser. The bar program will include an extensive list of South African wines, as well as select African beers. Craft cocktails will be made with Amarula, a South African liquor with caramel and vanilla notes, and Van Der Hum, a liqueur made from Cape tangerines. Guests will be able to sit at a lounge-y banquette in the bar area or in the dining room, as well as in the Food Hall. “We want it to be very fluid and flexible,” Anthony says. 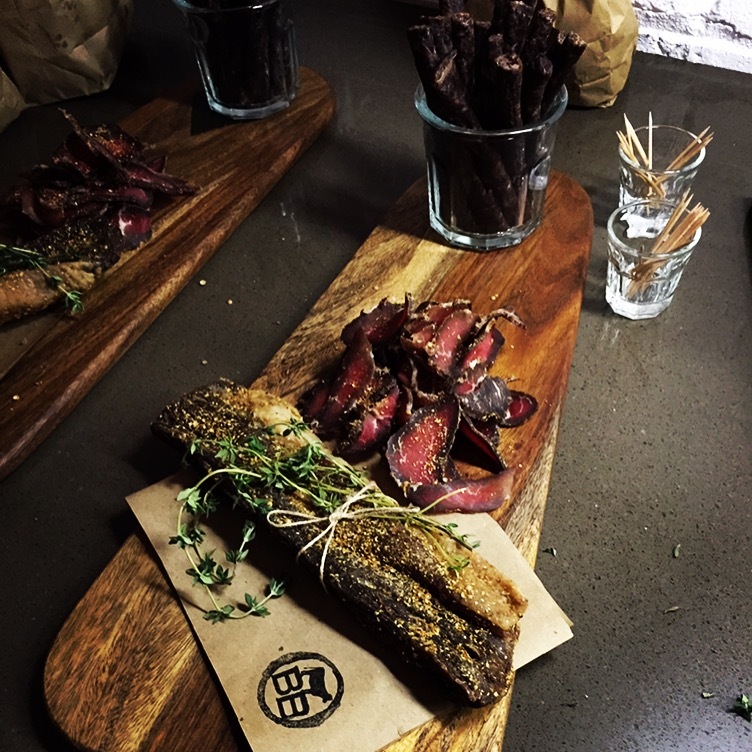 Located in a 1,200-square-foot L-shaped space, Biltong Bar will feature a “classic contemporary rustic, safari-chic décor” with dark woods, brick, and white walls, Anthony says.